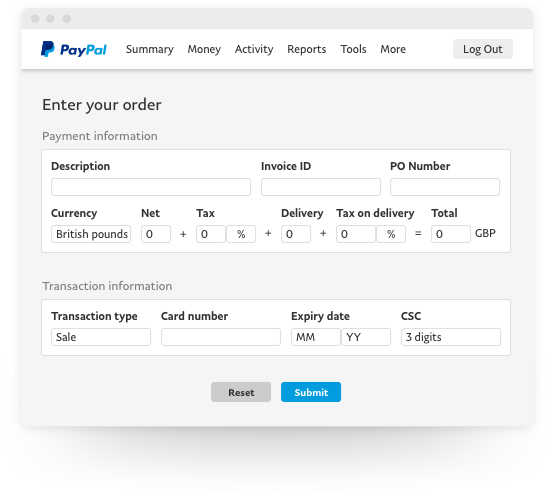 Take telephone orders and process card transactions online, without any extra equipment or set-up. Accept major debit and credit cards, from more than 200 markets. You’ll get paid within minutes, then you can spend the money online or withdraw it to your bank account. 4 reasons to choose this payment solution. No software to install, no coding required. Several sales agent can accept phone payments at the same time. We’ll help keep your business secure through our robust fraud screening as well as address and card verification checks. Our payment specialists are on hand to help you get set up, and provide you with phone and email support throughout. We can talk you through the Payment Card Industry Data Security Standard (PCI DSS) process, necessary when handling confidential data. Your customer calls to make a purchase and pays by card. 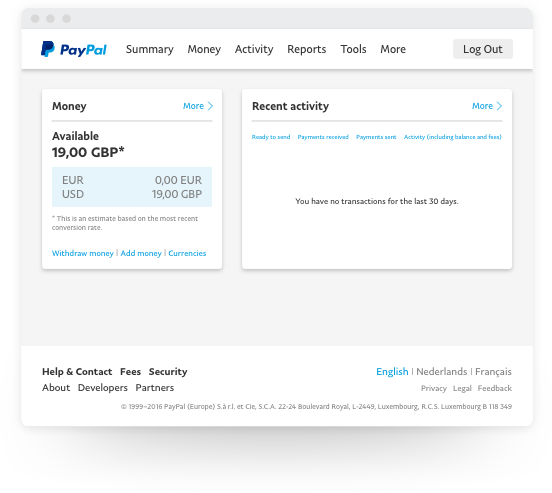 Log in to your PayPal account and open your Virtual Terminal. Enter the order details and billing information into your Virtual Terminal, then click Submit. We process your transaction, and send you a confirmation email, plus the option to print a receipt or label. When the payment is successful you’ll receive the money in your account within minutes. As soon as you’re ready to get started, we’ll ask you to complete an online form. Then, one of our payment specialists will call you to help complete your application. 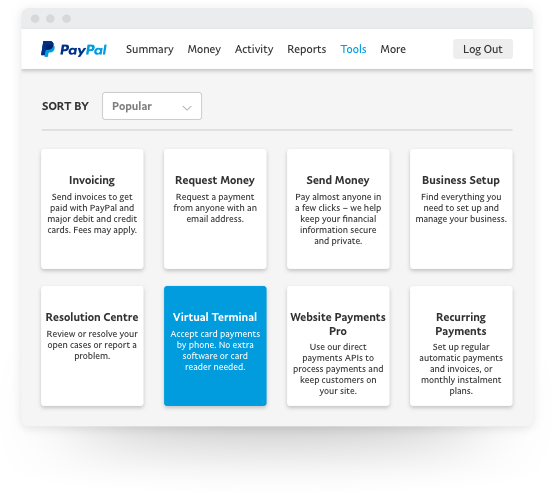 Your Virtual Terminal will be ready to use from within your PayPal account. Get paid by phone today. Getting set up is easy – simply complete an online form. Then our payment specialists will contact you to take you through set-up, so you can start taking payments. How do I start using Virtual Terminal? What types of payments can I process? 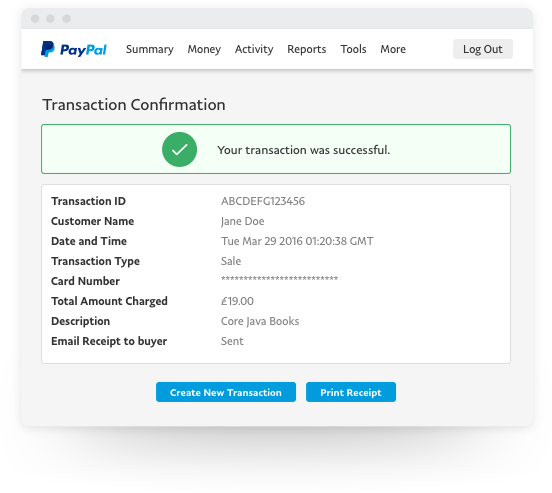 Want to send invoices by email? Want to sell on your website?